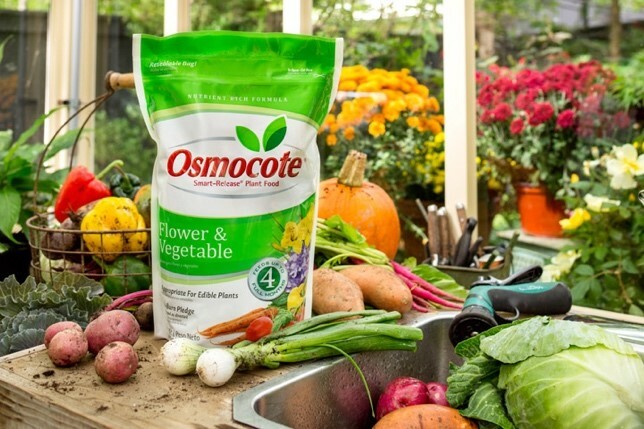 Osmocote® User Reviews: Flower & Vegetable Haven’t used Osmocote® before? See the ratings and read the reviews. Already a regular user, why not share your experience? Click to find Osmocote® Products online or in a store near you. Click to find out why this formula is favored for seasonal vegetables and perennials. Osmocote seriously made my vegetables look and taste so good. A product everyone should try at least one season. Then you will use it every season after. So this spring, I sprinkled Osmocote throughout my garden beds. I had huge dreams of how great my garden would be. For the most part, yes...my vegetable plants yield tons of produce...my cucumbers, my beans and my beets and radish really thrived. I do think that one has to have good soil...first and foremost because it seemed that everything else wither didn't produce very well or got a fungus that wiped them out. I want to think this product is great for plants...I mean, it cant hurt...my beans never looked better...but the tomatoes, zucchini, corn, eggplant and peppers...not so good. My recommendation would be to definitely use Osmocote...I do believe it helped give the plants a little extra...but make sure your garden soil is good first. As a Master Gardener, I never plant without using osmocote first. The difference in my flowers and vegetables since I've been using this is unbelievable. People from my neighborhood come and ask me what the secret is. I tell them osmocote! 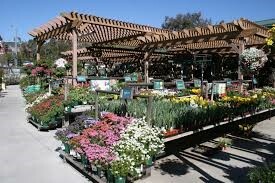 "Helps make all our plants produce more flowers and nice veggies and fruit. We use it regularly and always keep a jar on hand. Been using it for several years." I love Osmocote because Osmocote has been good to me! I grow tomatoes in containers and this product gives great time release fertilization. I don't have to worry about weekly applications which is great, especially during summer vacation! When I retired to Door County Wisconsin I took a job with a nursery that grows beautiful plants. One of the reasons for their success is, they use Osmocote in all their hanging baskets, 2 gallon Geranium pots and mixed containers. That was my first introduction to the product. Since then I have recommended the product to customers and used it in the planting medium for our Master Gardener plant sale annuals we grow and have used it at home. I am so busy with growing and my own gardening, I soon found I loved the convenience of being able to sprinkle the beds quickly instead of the arduous task of mixing and toting buckets of solution. I prefer the balanced NPK of the flower and Vegetable and purchase a big bag of it in the fall so I have it ready to get on the raspberry's, peonies and Iris in the early Spring. Which is now Yea! Thanks Osmocote for making my life easier! I love the convenience of Osmocote. As a member of a Garden Club, we are always looking for convenience to use in our own gardens. I have always used the Osmocote and have loved the results. I have been using Osmocote for about 8 years. I started using it when I became a Master Gardener. It is the plant food we use for the majority of plants grown for our annual Plant Sale, that's 8 to 10 thousand plants. It is easy to use, effective, and affordable. My family has owned and operated a small retail greenhouse operation for 26 years and has used Osmocote from the beginning. It's a great slow-release fertilizer that helps plants grow and stay uniform and healthy. A great product for commercial and homeowner use alike!